Going from art to part is easier than ever with the flexible, specialized features in WorkNC. Balancing ease of use with functionality that delivers more power to the programmer, the WorkNC Full 3X License is designed to pack a punch. 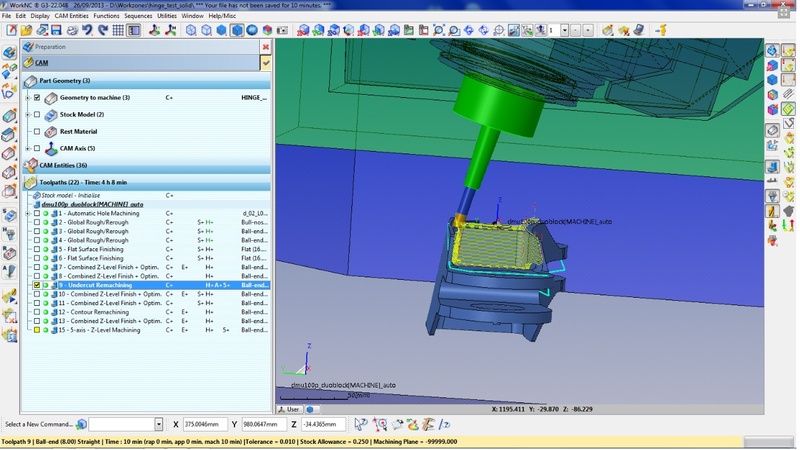 Including the full lineup of 3D toolpaths available in WorkNC, this package includes job and, or, cutting preference-specific cycles that reduce programming time and improve part quality. From complex 3D finishing capabilities down to automatic feature recognition, the full 3X license paves the way for significant gains on and off the shop floor.